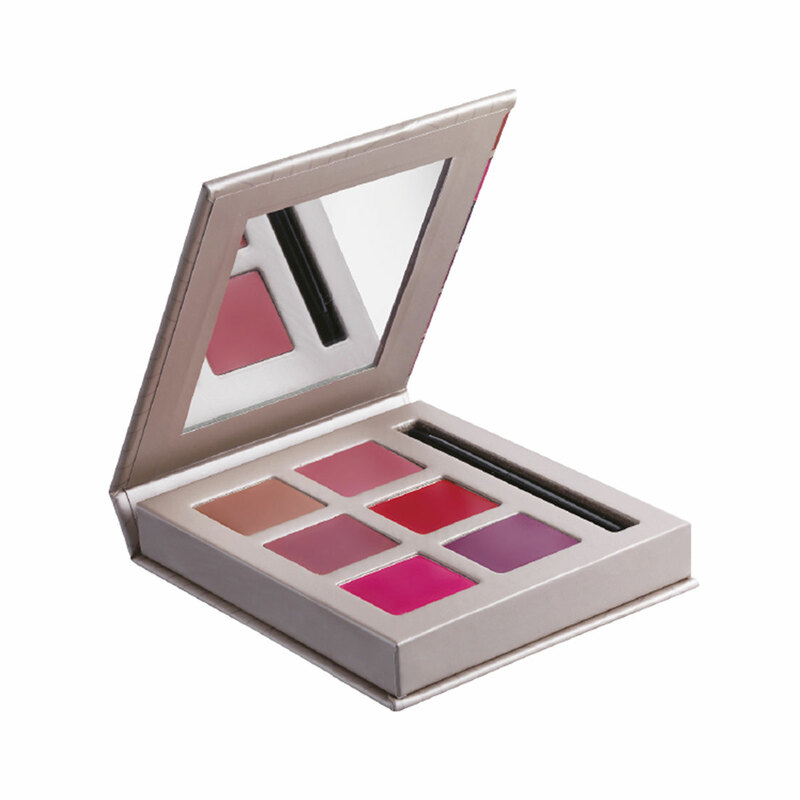 This exclusive lip palette offers the most sophisticated way to enhance every woman¿s femininity: lipstick in six different hues, from more natural shades through to darker and bolder tones. These intense and wonderfully bright colours, suitable for applying on their own or for mixing, create the ideal look for any occasion. The ultra-rich and creamy texture is soft and comfortable and extremely easy to apply. The beautiful pack includes a mirror and brush for quick and easy application, ensuring you are impeccable at all times of the day. A sophisticated palette of lipstick in six different hues, from more natural shades through to darker and bolder tones, suitable for applying on their own or for mixing. The ultra-rich and creamy texture is soft and comfortable and extremely easy to apply. The beautiful pack includes a mirror and brush for quick and easy application. Actions:The ultra-rich and creamy texture is soft and comfortable and extremely easy to apply. Direction for use:Apply to your lips with the brush. Suggestions:For everyone who wants lipstick in six different hues, from more natural shades through to darker and bolder tones. Characteristic:Intense and wonderfully bright colours suitable for applying on their own or for mixing, which create the ideal look for any occasion.